Click Here to check out all the photos. As I was browsing through the photos I noticed that many of the pictures were taken during or after a good old fashioned Cape Cod Canal blitz. These are the rare days when the Canal is loaded with fish and just about everyone has a bent rod. All out Canal blitzes do not happen often, but when they do occur, it is one sight that is not soon forgotten. In this post we’ll break down the anatomy of a Cape Cod Canal blitz, so that you can be there for the next one, and not at home sitting on the couch. I spent a little time browsing YouTube this morning and found a video that pretty much sums up what a Cape Cod Canal blitz looks like. The video was taken during one of those rare days that we all dream about. So how can you increase your odds of being at the Ditch on a day like the one in the above video? 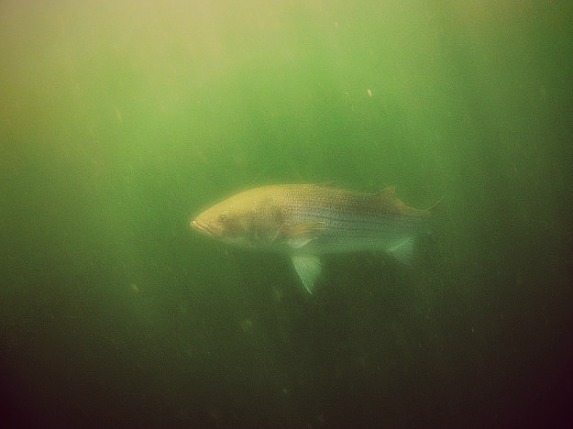 Well there’s a certain degree of guesswork and uncertainty with everything related to striped bass fishing, but there does seem to be a few things that lead up to a really good bite. Stripers love to eat lobsters, crabs and other bottom dwelling animals. 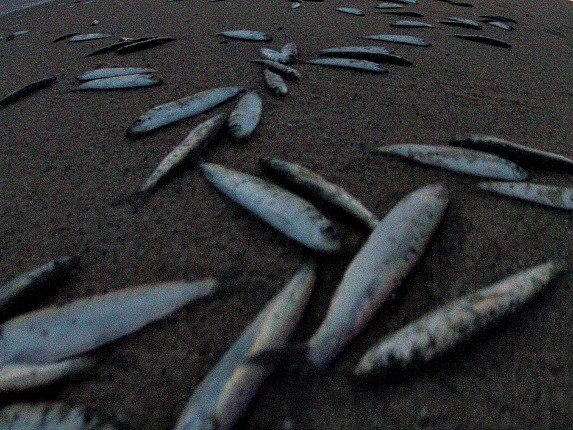 Some good fishing can be had when fish are honed in on eating crustaceans. However for a big time topwater blitz to occur, there needs to be some big bait swimming in the depths of the Cape Cod Canal-and lots of it. 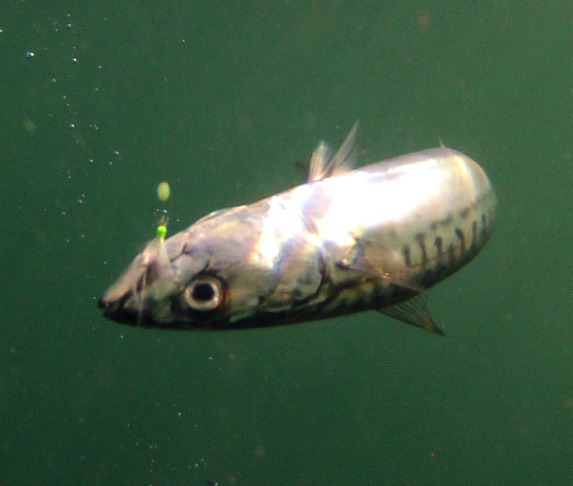 are 3 common bait fish that can really get the bite going. For your best chance at encountering a blitz, be sure to be at the Canal when the big bait is showing. Even if there’s a bunch of bait in the Canal there is no guarantee that a blitz is going to occur. On some days the bass are simply not around. 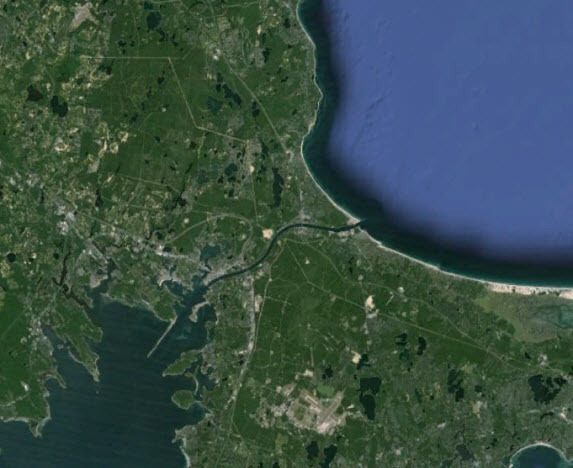 When viewed from above it’s easy to see that the Canal is really one big enormous inlet, that connects Buzzards Bay in the south to Cape Cod Bay in the north. Sure there are bass that spend the summer “hanging out” in the Canal. But for a big time blitz to occur you need a big time school of stripers to move in to this enormous inlet we call the Canal. 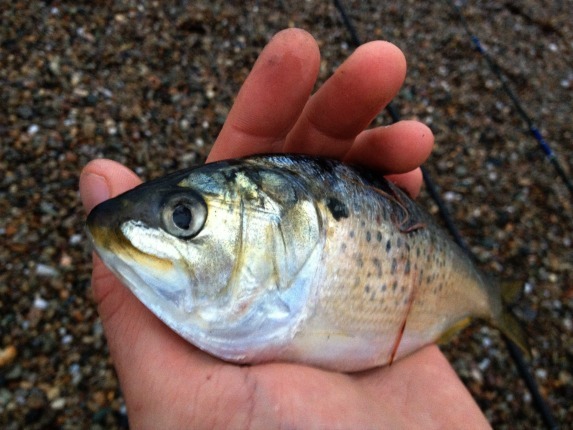 You can bet a Sebile that having thousands of mackerel, pogies and herring swimming in the Canal will help to attract a large school of fish into the Ditch. But what else will bring fish into the land cut? If you fit all the pieces to the equation together, and get a little lucky, you will eventually end up with a bent rod. As mentioned above there’s a lot of guess work with anything striped bass fishing related. We are really looking at increasing our odds of success – and not guaranteeing anything. 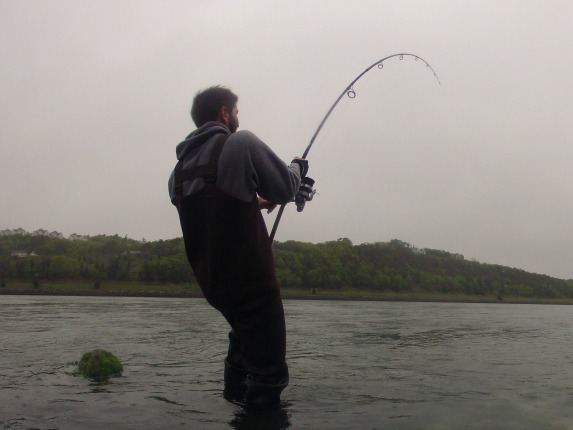 If you are a My Fishing Cape Cod member and would like more detailed information on timing a blitz, then be sure to check out these Cape Cod Canal fishing member articles. Also, remember that every 7 days you gain access to a new Weekly Spot. Weekly Spots highlight great areas to fish and explore from the Canal to Provincetown and everywhere in between. The new Weekly Spot is live today, so if you haven’t checked it out yet you can do so right now. I can recall a few incredible blitzes of this past season. There was the Memorial Day Blitz (isn’t it nice when bass cooperate with the long weekend?) as well as a few more I recall happening during early summer. Have you experienced a Canal blitz before? Let us know by leaving a comment below. Ryan Collins is new to the Blog Chowder family but not new to the world of Cape Cod fishing. Ryan has been an active seasonal commercial fisherman since the age of 14 and currently runs fishing charters along with blogging and writing about Cape Cod fishing. His website My Fishing Cape Cod is one of the fastest growing online fishing communities in the area.